If you do not wish to vote at this time, click here to visit 11x11 Online Football Manager stats. 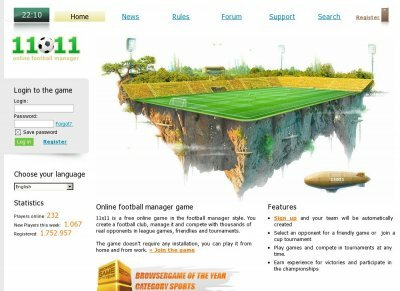 11x11 is a free-to-play football manager game, where each player can create his own football club. Players manage their teams and try to lead them to the biggest victories. The application runs in a browser window, so that neither an installation nor a powerful hardware is required. In various online leagues and tournaments the best managers can compete with thousands of other players. Unlike most other online football managers 11x11 offers daily tournaments around the clock.